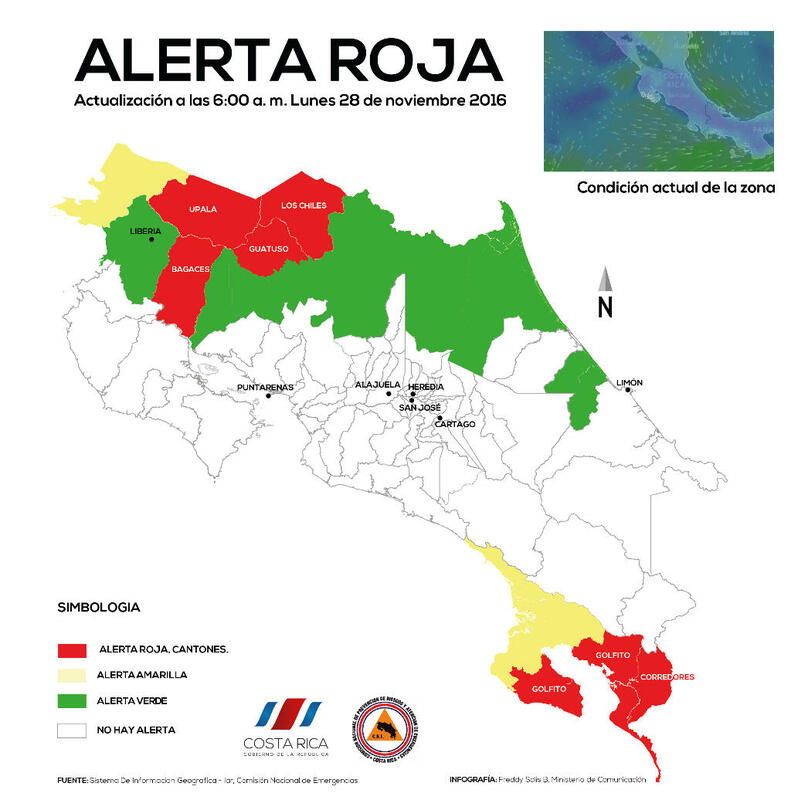 Q COSTA RICA NEWS – This morning, Monday, began the three days of national mourning decreed by the government for the death of ten people, among then 3 minors, in Upala and Bagaces, victims of Hurricane Otto’s trek in Costa Rica. In a brief ceremony, in which President Luis Guillermo Solís and other members of his cabinet participated, the Costa Rican flag at the National Emergency Commission (CNE) in Pavas was erected at half-mast. 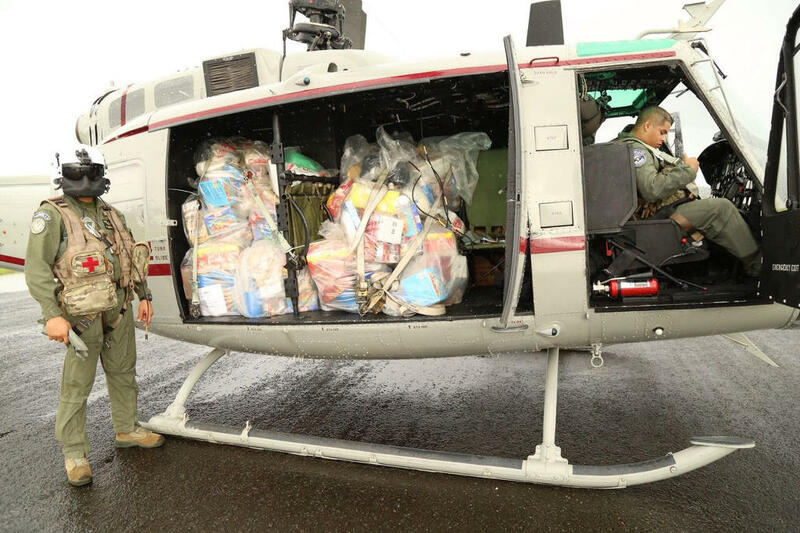 According to Gustavo Matos, minister of Public Security (MSP), the relief efforts continue with the aid of three helicopters and crew from the U.S. to deliver Food, water and medical personnel to communities, including the indigenous of the Caribbean. Mata explained that, thanks to the helicopters they have been able to reach remote communities such as Alto Telire de Talamanca and Chirripó. The first team of 32 Panamanians experienced in natural disasters, with two airplanes and two helicopters, arrived in Costa Rica on Friday, to help that country in recovery efforts from the results of Hurricane Otto. They included 22 officials of the national air service, Senan, 10 from the civil defense agency Sinaproc. According to Newsroompanama.com, Sinaproc Director José Donderis said that more aid will be sent if it is needed.